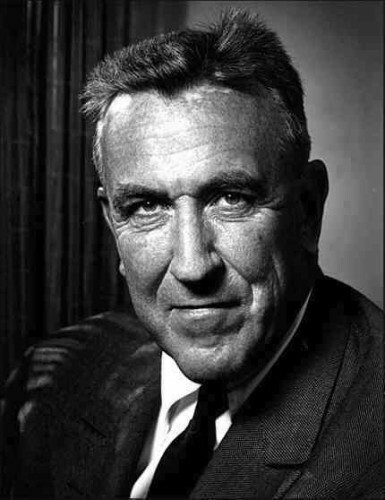 On May 25, 1986, Chester Bowles, a Connecticut governor, Congressional representative, ambassador, and author, died in Essex, Connecticut. Bowles was elected the 61st governor of Connecticut in 1948, serving for one term. A liberal Democrat, he was able to end segregation in the State’s National Guard. He also made contributions to Connecticut in the areas of housing, childcare, and welfare as well as in improvements to workmen’s compensation benefits. Chester Bowles also served the country as undersecretary of state and was John F. Kennedy’s representative and adviser for Asian, African, and Latin American affairs. He was the US ambassador to India in the 1960s. The section of Route 9 from I-95 in Old Saybrook to I-91 in Cromwell was named the Chester Bowles Highway in his honor. “Finding Aid to Office of the Governor: Chester Bowles (1949-1951) Records - RG 005:031.” Connecticut State Library, 2009. Link. “Finding Aid to the Chester Bowles Papers.” Yale University Library, 2013. Link.